Remember these great cartoons? How awsome were they? My favorites were Tigertron, Rhinox, Silverbolt and Dinobot. Inferno was cool too...AND WASPINATOR was freakin' hilarious. You know what episode just came to mind the one that ends with a cliffhanger with the Maximals and Predicons facing off! That was awsome. Remember the blank protoform (is that the right word)? That was a great episode too. Man I wish they would have made a third in the series. I also loved the references to G1. Beast Machines, I loved, but never saw the complete series due to Fox airing some sport instead (not a big jock). When they did that I was so angry. It aired earlier than I liked to get up on weekends...waking up everyweek, like any loyal fan would. Then to have them yank it without completing the series once! Bad move Fox, bad move. CYLON (13) wrote: Remember these great cartoons? CYLON (13) wrote: How awsome were they? CYLON (13) wrote: My favorites were Tigertron, Rhinox, Silverbolt and Dinobot. Inferno was cool too...AND WASPINATOR was freakin' hilarious. Everyone in Beast Wars was awesome! CYLON (13) wrote: You know what episode just came to mind the one that ends with a cliffhanger with the Maximals and Predicons facing off! That was awsome. Coming of the Fuzors (Part 1)? CYLON (13) wrote: Remember the blank protoform (is that the right word)? That was a great episode too. Wasn't that the same episode? The blank Protoform was used to created Optimus's Transmetal body. Or, are you thinking of Transmutate? CYLON (13) wrote: Man I wish they would have made a third in the series. Beast Wars did have three seasons. Eps. 1-26 were season 1, 27-39 were season 2, and 40-52 were season 3. Beast Machines also had two seasons, split down between 1-13 and 14-26. CYLON (13) wrote: I also loved the references to G1. They were a very nice touch. And "The Agenda" still remains as one of the the most epic 3-parters out there. CYLON (13) wrote: Beast Machines, I loved, but never saw the complete series due to Fox airing some sport instead (not a big jock). When they did that I was so angry. I know just how you feel. I've been through similar experiences before with other shows. CYLON (13) wrote: It aired earlier than I liked to get up on weekends...waking up everyweek, like any loyal fan would. Then to have them yank it without completing the series once! Bad move Fox, bad move. They finished the series up near me. Maybe it was just all the pre-emption on your network that caused the mess. Critical Mass -- a single issue containing the one-shot story "Ground Zero"
Reaching the Omega Point -- an epic saga covered in a series of individual stories. 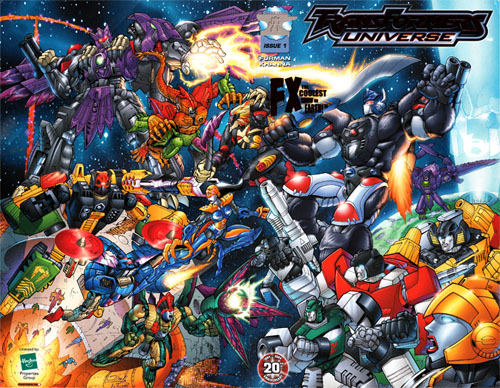 During the late-RiD/early-Armada period, BotCon 2002 introduced the Expanded Universe line. This line consisted of only four figures: CatSCAN, Cyclonus, Tap-Out, and Glyph. These characters all hailed from the BotCon-exclusive Wreckers comics mentioned above. Following the decline of the RiD toyline, near the end of the Armada line, Hasbro breathed new life into the Beast Era in the form of the Universe (2003) line. Fast forward to 2006-2008, IDW created the most recent Beast Era media in form of the two comic series, Beast Wars: The Gathering and Beast Wars: The Ascending. The Gathering is set during the third season of the Beast Wars cartoon and The Ascending is set after it. Both stories take place off screen from the show and involve toy-only characters not featured in ther cartoon. Although, these comics ignore all previous BotCon comics and do not regard them as canon to these comics. IDW also released the Beast Wars Sourcebook, containing biographical information on nearly every Beast Wars character, American, Japanese, cartoon-only, toy-only, etc. 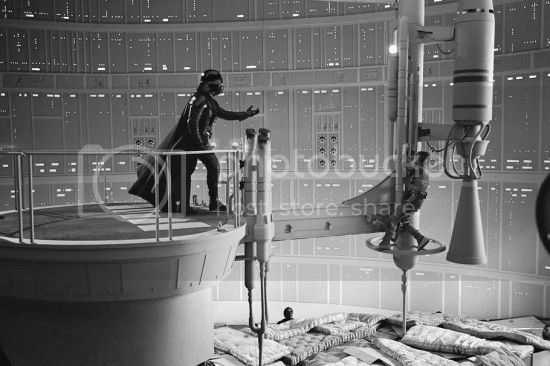 However, it does contain quite a number of errors and oddities in its own right. With BotCon now headed by Fun Publications, there were at least three more pieces of Beast Era history created by this team. One was the 2007 "Dawn of Future's Past" comic, and the other of the "Theft of the Golden Disk" mini-episode. Both serve as prequels to the Beast Wars cartoon (even if there are some few odd differences between the two), showing how the Golden Disk was stolen and how the Maximals of Optimus Primal were sent to chase after Megatron's criminal Predacons. The third was a text story titled "The Razor's Edge", which told a story about the Maximal Airazor during her pre-Earth days when she used to known as 'Wing Saber". These stories also seem to tie in with the 3H media mentioned above. Across the sea, in the Land of the Rising Sun, there existed even more Beast Era media. The Beast Wars cartoon had been dubbed into Japanese as Beast Wars: Super Lifeform Transformers (Beast Wars: Chō Seimeitai Transformer), and had been altered from being a serious and cool series to being a light-hearted comedy series. Despite these changes, it was a hit. And while the Japanese were waiting for seasons 2 and 3 to be broadcasted over there, two completely new series were created during the interim. Set in the future on the peaceful planet of Gaea, the Maximals (Cybertrons) lead by Lio Convoy face off against the Predacons (Destrons) led by Galvatron. Their great struggle was over a special source of energy called Angolmois. Lio Convoy in Imment Danger (Lio Convoy Kiki Ippatsu!) -- the main reason for seeing this movie. This was an original 45-minute animated story that told of Lio Convoy's team facing against Galvatron's forces and the new threat of the titanic Majin Zarak. Optimus Primal from the U.S. cartoon also made a special guest appearance. Beast Wars Super Lifeform Transformers - Metals -- The season two episode "Bad Spark" in full English, serving as a preview for what was to come in the rest of the Japanese-dubbed U.S. Beast Wars cartoon. Picking up after the last series, this show involved the battles between the Maximals led by Big Convoy and the Predacons led by Magmatron, as they fought to possess the capsules of Angolmois energy that were scattered across the vastness of space at the end of Beast Wars II. It is eventually revealed that Angolmois is, in fact, the lifeforce of the dark god Unicron, and a new third faction enters the conflict: the Blentrons, who seek to resurrect their dark master. After these two series ended, the second and third seasons of the U.S. show were finally dubbed into Japanese and became the new series titled Super Lifeform Transformers: Beast Wars Metals (Chō Seimeitai Transformer: Beast Wars Metals) Like the previous series, it too was light-hearted and comical. For this series, one of its episodes, known as "Cutting Edge" in the U.S., was aired in theaters as part of a triple-feature movie with two other Takara-owned properties. For it's theatrical release, it was retitled Beast Wars: Super Lifeform Transformers - Metals – Convoy's Great Transformation! (Beast Wars: Chō Seimeitai Transformer - Metals – Convoy Dai Henshin!) , which is an odd title considering that the episode involving Optimus Primal's upgrade to his "Optimal Optimus" body had already happened a few episodes before this. Because of its theatrical release, it was the only episode to not see a DVD release of any kind in Japan. Unlike the U.S., who got Beast Machines immediately after Beast Wars, the Japanese got Car Robots (RiD) next, followed by Micron Densetsu (Armada), Super Link (Energon), and Galaxy Force (Cybertron). They would not get Beast Machines until 2004, when it was finally released there under the name Super Lifeform Transformers: Beast Wars Returns (Chō Seimeitai Transformer: Beast Wars Returns) Unique for a Japanese Beast Era series, Beast Wars Returns was *not* altered to be funny and warm, keeping its mature story and tone intact. It even included the same theme song used in the English version, instead of creating its own new song. And even after all this, the Beast Era was STILL not finished! Come 2006 and several anniversary toylines began to surface. The first was Hasbro's Beast Wars: 10th Anniversary line, consiting of ten figures: Cheetor, Rhinox, Waspinator, Dinobot, Predacon Taratulus (new name), Rattrap (Transmetal), a two-pack with Optimus Primal and Megatron, and two new-mold versions of Optimus primal and Megatron. The former six of these each included a piece to build a figure of Transmutate (called "Trans-Mutate" on the packaging), the former eight came with a single-episode DVD of the cartoon and all featured new show-accurate color schemes. And the latter two came with both small Axalon and Darksyde mini-toys and an issue of The Gathering comic. TakaraTomy also had their share of anniversary lines. The first they released was a two-pack of Optimus Primal and Megatron, under the label of Beast Wars Reborn. These figures were same as those released in Hasbro's line (technically, these ones came first and were released by Hasbro after), sporting new show-accurate headsculpts. The fiction that accompanied this line took place after Beast Machines/Beast Wars Returns and seemed to have some connection with the Cybertron/Galaxy Force cartoon. The second and last Beast Wars line to date was the Beast Wars Telemocha Series line. Like the Hasbro anniversary line, this one featured many figures that sported ridiculously beautiful show-accurate color schemes that have yet to be beat. The fiction that accompanied this line, called the "Beast Wars Diorama Story", featured a crossover with some of the Fast Action Battlers from the Live Action Movie toyline. Dude, thanks for all that info.! I'm definately checking out the comics. I'd heard about the traditionaly animated Beast Wars cartoons but never knew what they were about. Again thanks! Do you own the dvd boxsets for the cgi 'toons? They've been on my wish list since I got a dvd player. Someday...someday. Are there any good extras on them? Does anyone know if there will be a re-release anytime soon? CYLON (13) wrote: Do you own the dvd boxsets for the cgi 'toons? CYLON (13) wrote: Are there any good extras on them? BW season 3 - a deleted scene and the full animatic from "Nemesis Part 2"
BM full series - interviews with Bob Skir, Marv Wolfman, David Kaye, and Susan Blu; and audio commentaries by Bob Skir on the episode "Fires of the Past" with Marv Wolfman, and the episodes "Endgame Pt. II: When Legends Fall" and "Endgame Pt. III: Seeds of the Future" with Steven Melching. So, yeah, it's really only the Beast Machines set that has a decent amount of extras. CYLON (13) wrote: Does anyone know if there will be a re-release anytime soon? Doubt it. No word has been said, and they're still being sold at such places as FYE and MovieStop. CYLON (13) wrote: For the royalty! "I really wish he wouldn't call me that." Great shows. I was kinda annoyed how Beast Machines just totally turned everything upside down and inside out back then. But it was still a good series. Beast Wars of course was just plain awesome. But now when I look back at Beast Machines and let go of the anger I felt at it (even though I was upset with some things and such I still watched it back then. I just didn't allow myself to enjoy it as much as Beast Wars) but now that I look back at it with a different (not angry) view I see it was really good as well. Now I don't want people to think I hated BM. I didn't. Just that I was sad and upset with how some things went. Now with TFP I truly feel it could be the best series ever. But that is me. What do you guys think? You think Prime has the chance to be bigger and better then.. gasp dare I say it? Better then Beast Wars? H Falcon wrote: You think Prime has the chance to be bigger and better then.. gasp dare I say it? Better then Beast Wars? I think it could, but personally I'm kinda biased towards Beast Wars due to the nostalgia factor. For me, it has this charm that I doubt will ever be replicated. But Prime is indeed a great show, so far. In just five episodes, it's worked its way up to being my third favorite Transformers cartoon, and that's one heck of an accomplishment considering how many Transformers cartoons are out there. So far my favorite series is Animated, followed by G1, hopefully Prime can shape up into something better soon and take number 3 spot (its that or the rescue bots thing from fisher price.) Anyway, I just got Beast Wars Season 1 from the new release and was wondering when to expect Season 2 and 3? I usually look at amazon but they had nothing about the release date there. Beast Wars is tied with Cybertron for my favorite series yet! I wrote that back before we heard about the Shout! Factory releases. This is an old thread. Plus, he was talking about the Kid Rhino DVDs at the time anyway.